Flexible metallic overbraided systems from delikon provide the best solution for the most demanding applications. Originally developed for use on machining and OEM applications, Delikon protective overbraided flexible steel conduit systems have continuously evolved to included specialised systems for chemical, engineering, offshore, rail, underground, tunnel and security applications. They are available in a wide selection of nominal conduit diameters up to 4 inches to best meet individual application requirements. In its various forms and with earth continuity via the system s fittings, the overbraiding can afford a standard, enhanced or high degree of EMI screening capability, protecting the cables carried within the flexible system. 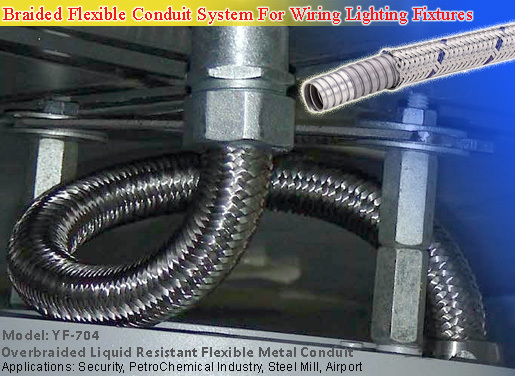 All overbraided flexible conduit systems provide an inherent low fire hazard installation or where electromagnetic interference EMI screening of conduit is required. 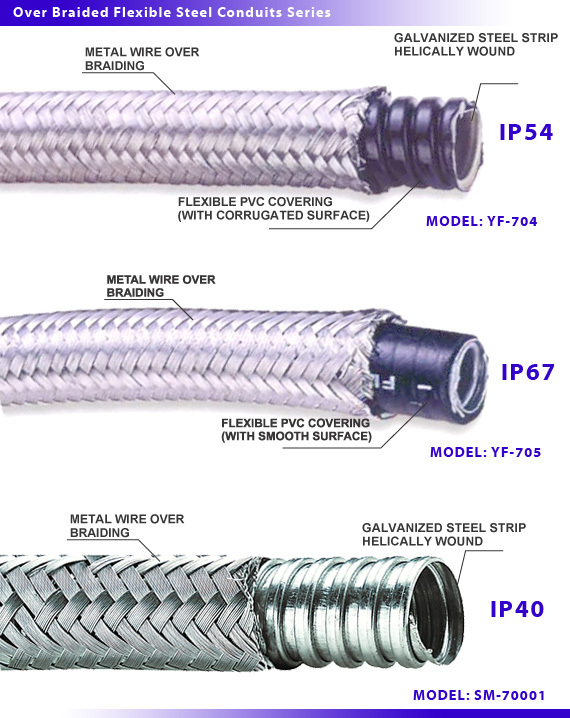 Delikon overbraided flexible conduit systems also offer cost-effective alternatives to individually screened cables within applications where cross talk has no adverse effect. Additionally, the user gains the mechanical advantage of a cable management system, which affords the means to easily add, substitute or replace cables in an existing cable run at any time.